Thailand evokes images of pristine island beaches, fresh and spicy cuisine, cocktails at sunset and suntanned bodies. However, this country has so much more to offer. 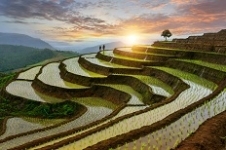 Chiang Mai, Chiang Rai and the north offer a cooler climate, with ancient ruins and intricate golden pagodas. 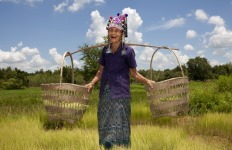 Browse the night markets, visit hill tribe villages or give alms to the procession of Buddhist Monks. 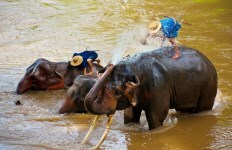 Ride elephants through tea plantations or bamboo rafts down the Mae Kok River. At first bewildering and frantic, Bangkok offers everything from the Grand Palace to rooftop bars, and the infamous red light district. At Kanchanaburi, north of Bangkok, you’ll learn the history of Hellfire Pass and the Burma Railway, built by Allied prisoners of war and Asian labourers under brutal Japanese occupation. You could do worse than cocktails, swimming and massages on Thailand’s beaches. And lastly there’s the Thai people themselves, warm hearted and pleasant by nature, but fiercely proud of their culture, history, and their revered king. Thailand is undeniably one of the world’s best holiday destinations, where you can start your trip in hectic Bangkok, explore the culturally fascinating north, and end your trip in the tropical wonderland of Thailand’s south. 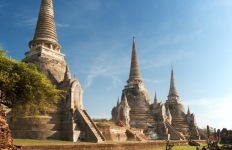 Jetset through Thailand visiting the must-see attractions of Bangkok and Chiang Mai in five days flat! If you’ve got less than a week and you want to be whisked around without any fuss, this is the Thailand itinerary for you. Experience the Highlights of Thailand, starting in bustling Bangkok visit Kanchanaburi with Hell Fire Pass and the Bridge over the River Kwai, Chiang Mai with its temples, elephants and rafts and end in Chiang Rai. Travel from Bangkok, Kanchanaburi, and Ayutthaya, to Chiang Mai and Chiang Rai on this Classic Thailand trip. See Hell Fire Pass and the Bridge over the River Kwai. 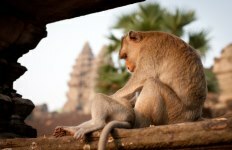 Experience temples, night markets, elephants and hill tribe villages. Encounter perfect beaches and small village life in the less-visited isles off the west coast of Southern Thailand. Relax on the deck of your yacht in the stunning southern Thai islands, eat delicious Thai cuisine, lounge out on beautiful beaches, swim and snorkel in quiet bays. 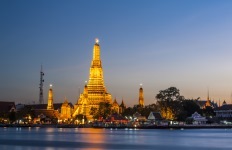 Bangkok is a vibrant city with many and varied charms, from grand historic buildings to peaceful temples, from exciting markets to ritzy shopping malls. 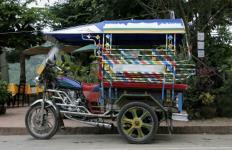 Avoid the crowds with your guided city tour and day trip to Kanchanaburi. 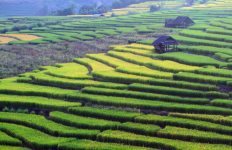 Experience Chiang Mai and Chiang Rai with spectacular mountain and jungle scenery, colourful hill tribe minorities, night markets, the infamous Golden Triangle border region, treks, elephants and bamboo rafts. Located in the north of the country, Chiang Mai is the ancient walled provincial capital. Explore the best of Chiang Mai's temples, ride your elephant through the jungle and watch the mountain scenery from your bamboo raft. Chiang Rai, in the mountains of northern Thailand, is the gateway to the infamous Golden Triangle border region of Thailand, Myanmar (Burma) and Laos. 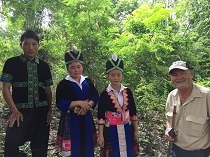 Cruise the Mae Kok River and trek through the hills to hill tribe villages on this trip. Phuket is Thailand’s largest island with rugged cliffs, tropical rainforests, white sandy beaches. Cruise to the Phi Phi islands explore caves, swim, snorkel, and relax on the white sandy beaches on this short stay in Krabi. Koh Samui, Thailand’s third largest island is a tropical paradise offering idyllic, palm-fringed beaches and picturesque fishing villages. Go sailing, snorkelling, swimming and relax on the white sand beaches on this short trip. Krabi has white sand beaches, clear turquoise waters, colourful coral reefs and spectacular limestone outcrops. Cruise to the Phi Phi islands explore caves, swim, snorkel, and relax on the white sandy beaches on this short stay in Krabi. Experience the Highlights of Thailand and Cambodia, starting in Phnom Penh followed by Siem Reap, home to the fabled city of Angkor, and then onto Bangkok, Kanchanaburi, Chiang Mai and Chiang Rai. 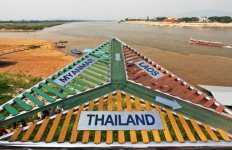 Experience the Highlights of Thailand and Laos as you travel from Bangkok north to Chiang Rai, cruise by boat along the Mekong to World Heritage Luang Prabang and finish in Vientiane, the riverside capital of Laos. Visit the pristine islands, hidden waterfalls and laidback villages scattered along the Andaman Sea between Phuket and Penang and travel to Borneo, leaving urban life behind. Jetset through Thailand and Laos visiting the must-see attractions of Bangkok, Chiang Mai, Luang Prabang and Vientiane in ten days flat! If you want to be whisked around without any fuss, this is the itinerary for you.